Now your child is ready for a few simple toys to explore as she practices using her hands, arms, legs, and feet. Make sure your child has time to move around on the floor or another clean, flat surface (the play area pictured in 0-3 months will still work for this age) . The best toys here will develop hand strength and dexterity, see below for categories. As your child can begin to reach for objects with intention, offer a handful of items just out of reach so she has to stretch to get them. Small, soft baskets are excellent for storing toys here so you can carry a few from room to room. Please note: infants can be easily mesmerized by household items, and they in fact make excellent toys at this age. Hanging a simple object on a ribbon or elastic is perfect for increasing hand-eye coordination, depth perception, and concentration. 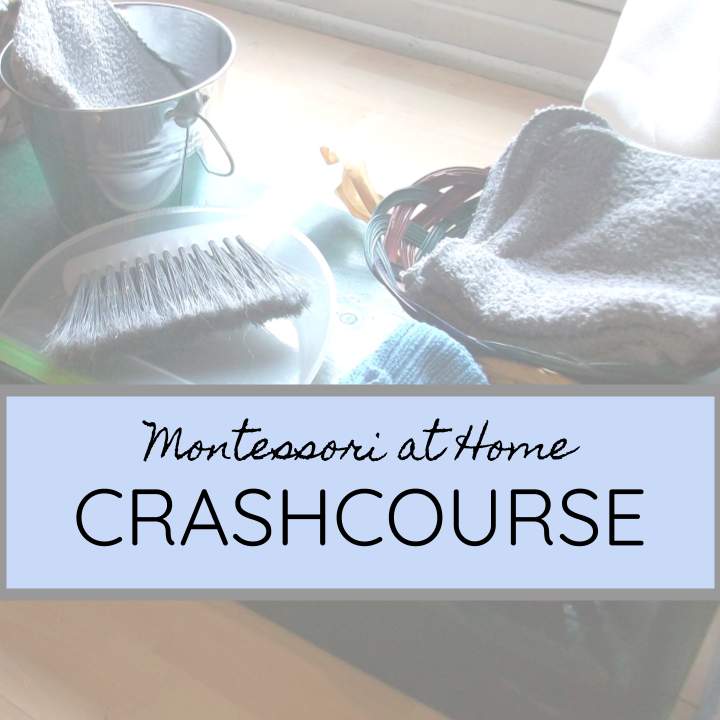 Traditional Montessori items are a wooden ring and a bell, but any lightweight, safe, simple object could be used here. These hanging toys are from bella's casa, and are ready to use, no assembly required. The ring offers a large area for grasping, and the bell makes an interesting sound when batted. Hang these from your ceiling, a sturdy mobile hanger, or a wooden gym (see below). Stick to one object at a time, to avoid distraction and over-stimulation. If you don't have an easy way to hang objects from your ceiling, a gym like this can be used. 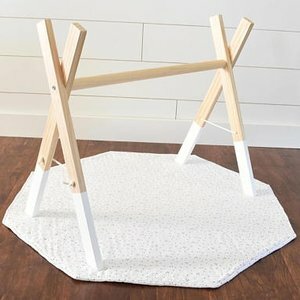 Many baby gyms have WAY too many colors and objects on them, look for very simple models like this one from Poppyseed Play. The gym should be sturdy, with enough space underneath for your child to safely roll over. I'm a fan of the simple freezer rings for teething, and a silicone necklace for the times you're holding your teething infant. 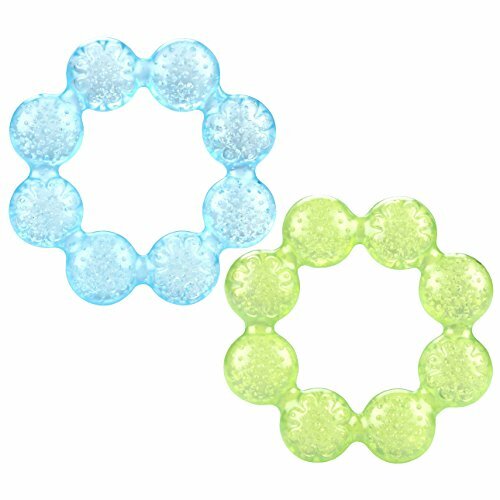 A teething infant is going to chew any object you give them, so having a specific "teething" toy isn't necessary, but these chilled rings can help soothe sore gums. 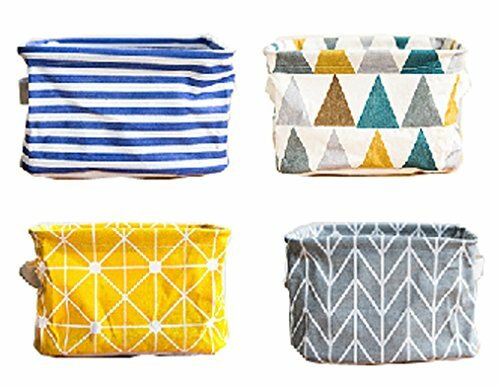 These canvas baskets are collapsible and can be re-purposed as your child gets older.